Newtown's very own rock'n'roll bar Midnight Special will transform the Opera House's Northern Foyer for the duration of Vivid Live. The pop-up bar (which has previously been dubbed the Deep Purple Pool Hall) will be inspired by the nostalgia and magic of records, replete with retro furnishings, harbour views and of course a vinyl soundtrack. Every night Sydney DJs will be spinning black gold, honing in on funk, soul and R'n'B cuts from the '60s and '70s. 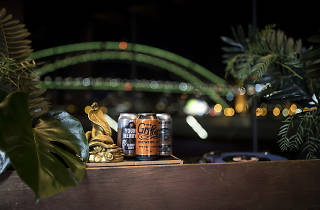 Goldie's Music Hall will also be shaking up a series of custom cocktails, alongside tins from local breweries and snacks by the Aria Events team. 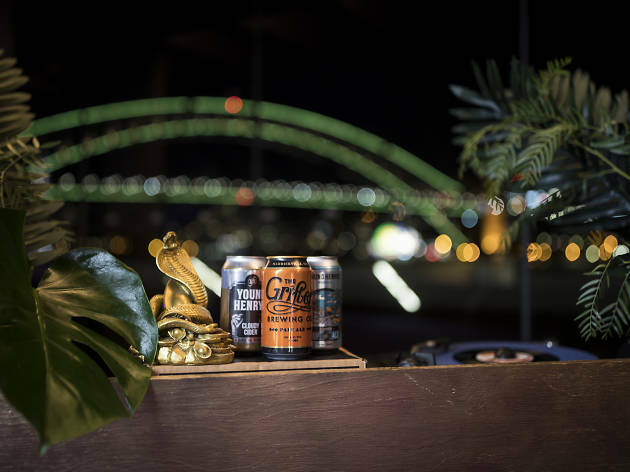 Whether you've snagged tickets to the likes of Kuren and Electric Fields, Ice Cube, Middle Kids, H.E.R or Solange, or you just want to take some respite from the Vivid Light madness, Goldie's Music Hall will be ready to crack you open a tin backed by a cracking soundtrack. Find out more about Vivid Sydney.